Growing and looking after my garlic was a little harder this year, as we decided to make some life changes and move from Oxford to Sheffield during it's growing period. I did manage to make it back to Oxford in August to harvest the garlic, and many many thanks to my friend Manishta for keeping the plot and garlic ticking over after I left Oxford in March. 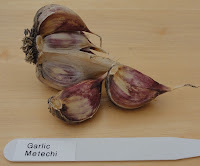 Below is an update on the eight varieties that I am now growing (all hardneck varieties). 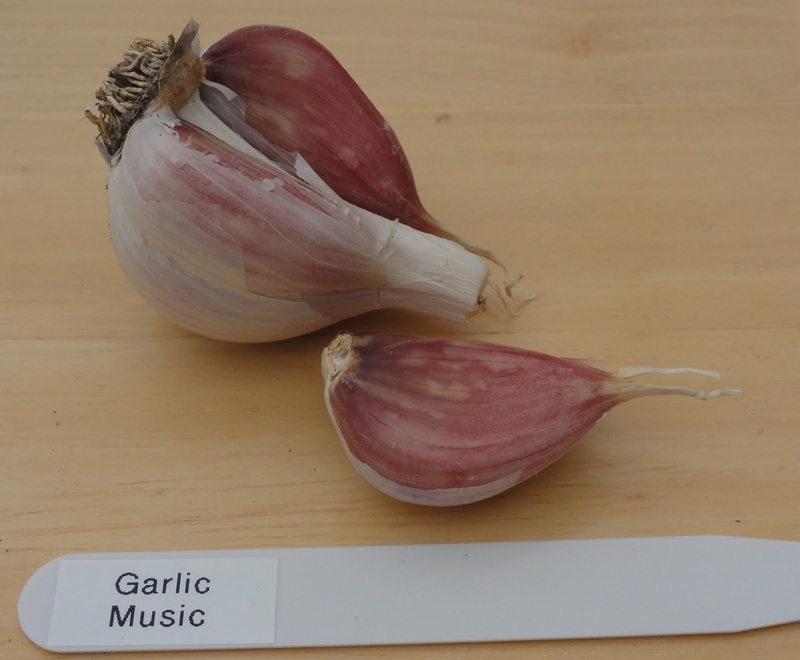 Full details can be read in my 'Garlic Varieties 2013' document. 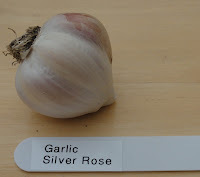 I've reduced the number of varieties I grow from 17 in 2010, down to eight that I've just planted for 2014. This is for a variety of reasons, some didn't do well and were too small, one was way to hot for even a garlic lover like me! 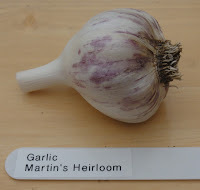 And I've also decided that as I have a smaller garden now, and no allotment, that I will only grow my favourite 'unusual' varieties that aren't so easily found in the UK. 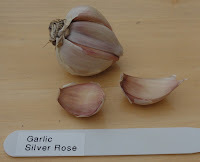 Growing: has done well in hard Winters and both wet and dry Springs, on clay soil. 4-5 cloves per bulb. 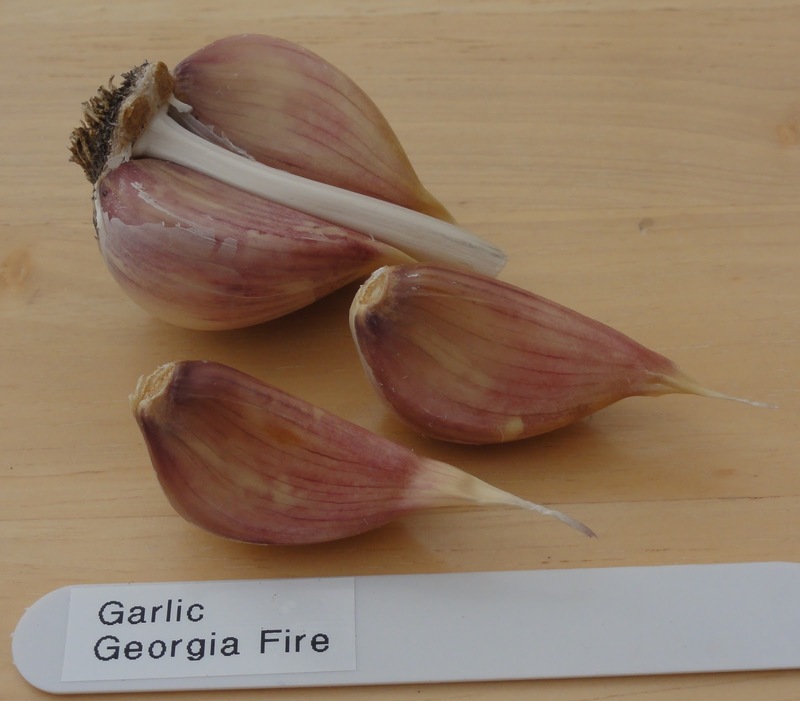 Medium sized cloves and can be stored for c. 4 months. Cooking: medium strength, I usually use a couple of cloves for a dish for two. Growing: I tend to get a mix of sizes with this one whether it is a dry or wet Spring. 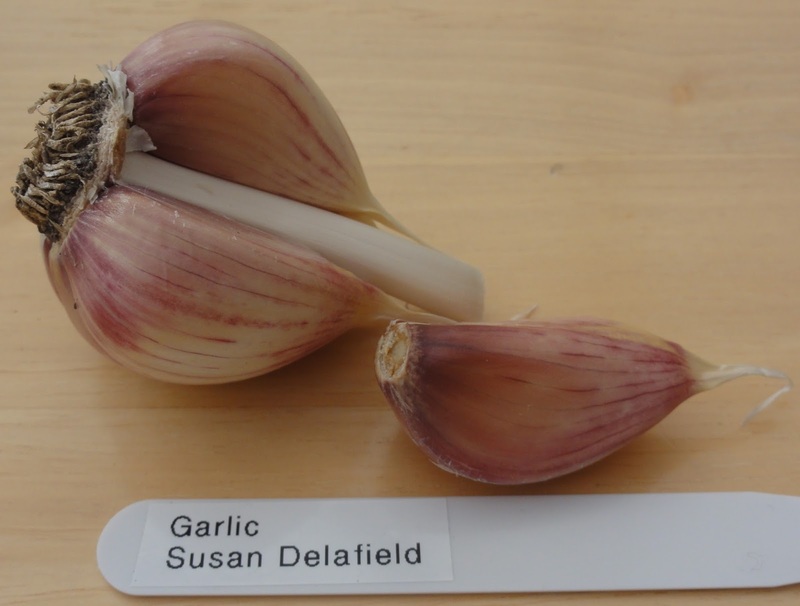 7-9 cloves per bulb. Stores for c. 5 months. 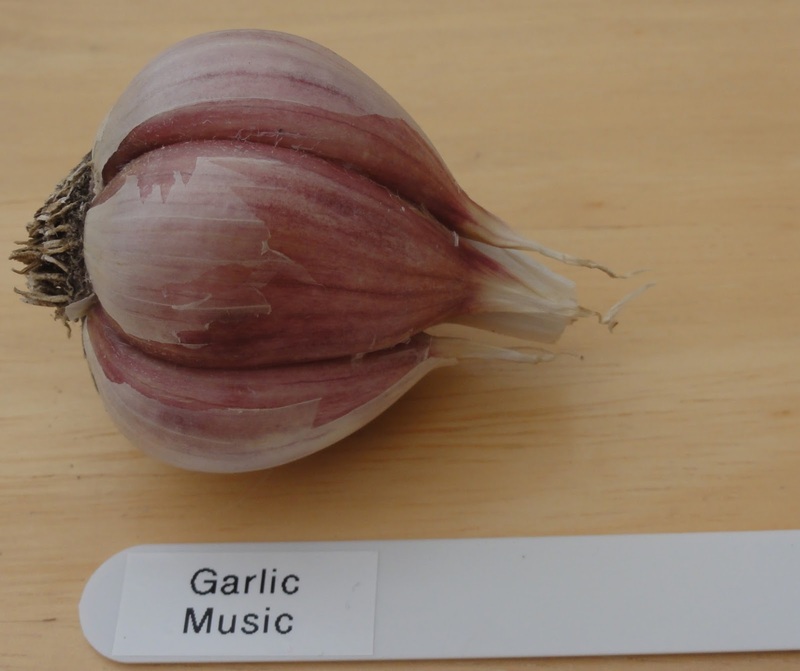 Cooking: medium flavour, I usually use a couple of cloves per dish. Growing: medium sized cloves, doesn't like the wet so much. 5 cloves per bulb. Stores well for a hardneck, 5-6 months. 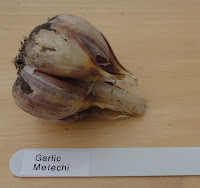 Cooking: medium to strong flavour this one, and I find 1 clove suffices for a dish for 4 people. 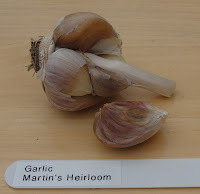 Growing: medium to large cloves, a really reliable garlic what ever the weather. 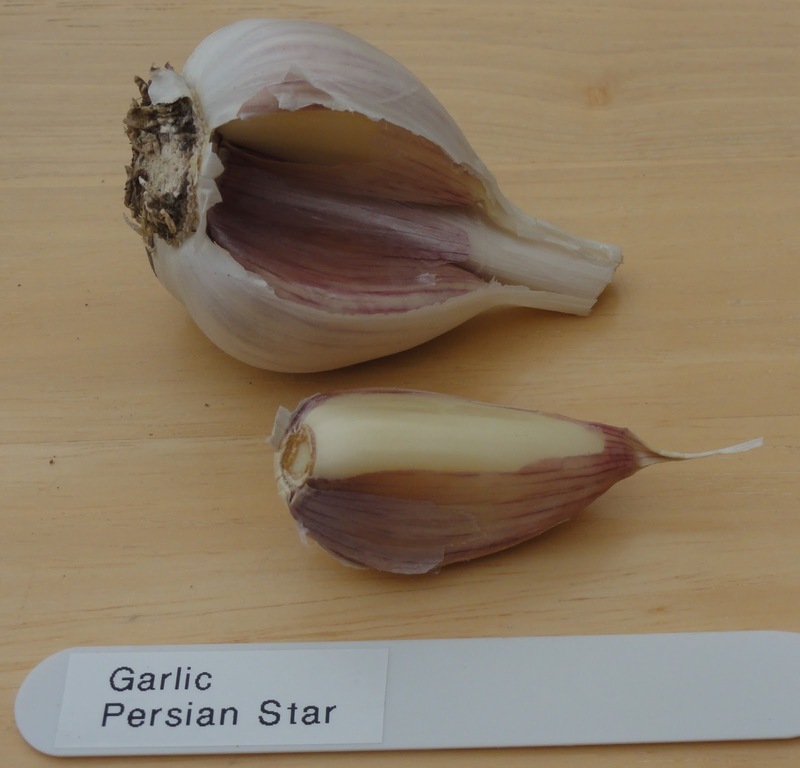 5-6 cloves per bulb and stores c. 5 months. Cooking: really lovely flavour that doesn't over-power. 1-2 cloves per dish. 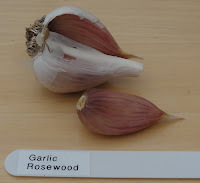 Growing: my favourite garlic as it is reliable, good flavour and has the prettiest name (if the latter is a reason for growing something!). Medium bulbs, c. 7 cloves each and stores 4-5 months. Cooking: medium strength, good flavour, throw in a couple of cloves per dish. Growing: Doesn't like the wet so much, and maybe not clay soil. 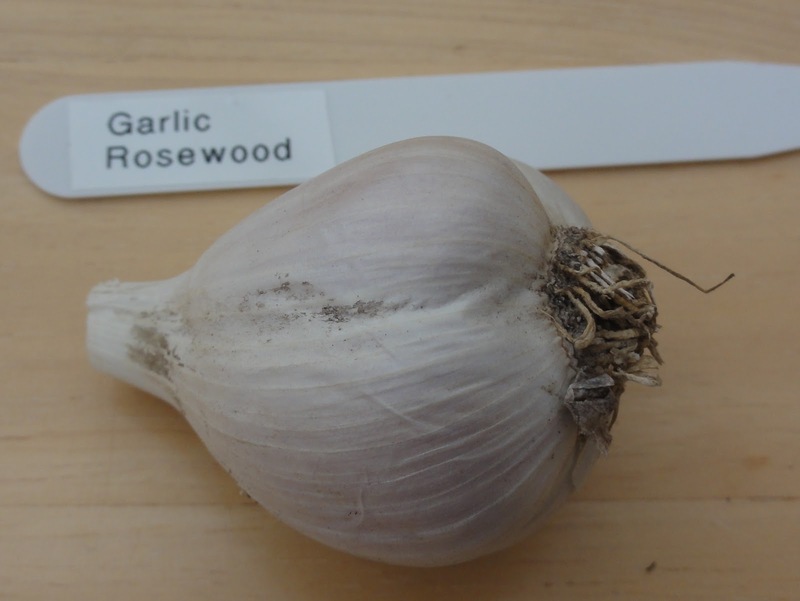 Originally larger bulbs, they have become smaller over the last couple of years; possibly not the best stock? 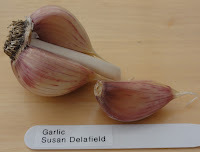 I've saved the best ones and will try again once more next year to see if any different in my Sheffield soil. 4-6 cloves per bulb and stores c. 5-6 months. Cooking: medium flavour, 1-2 cloves per dish. Growing: This has been reliable until this harvest, when the bulbs came out smaller; problem with stock? I'm continuing to grow as it's been reliable and has good storage capabilities (c. 6 months). 4-5 cloves per bulb. Cooking: mild-medium flavour which is good for 'lighter' recipes like omelette (rather than curry which has stronger flavours), c. 2 cloves per dish. Growing: This one doesn't like to get too wet, a lot rotted in the Spring of 2012, but it did well in the drier Spring of 2013 and I got a really good crop. 5-6 cloves per bulb. This one doesn't store as well, c. 3 months, so needs to be used earlier. 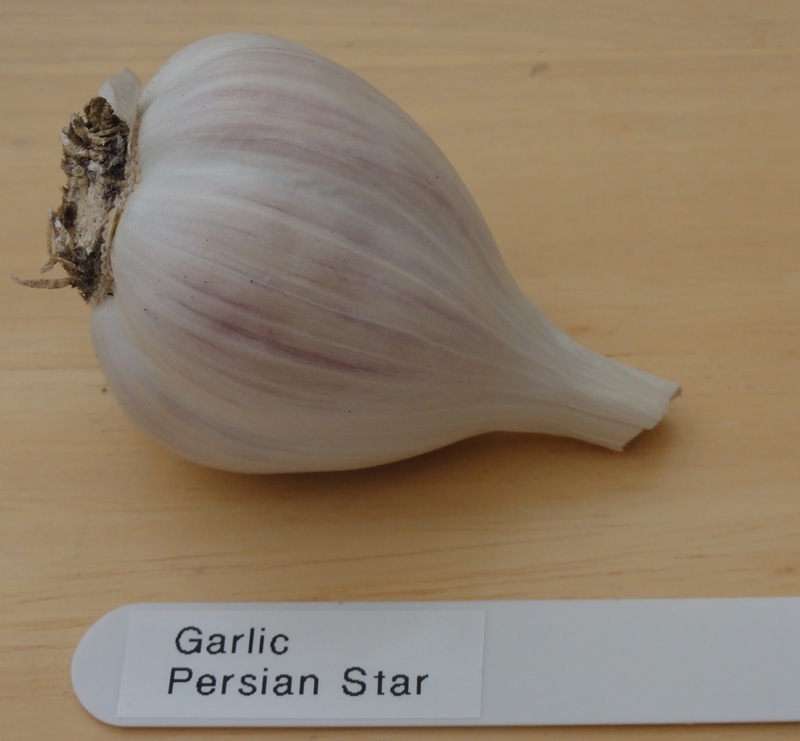 Cooking: medium-strong flavour, but not overpowering, 1-2 cloves per dish. Estonian Red: sadly this one didn't crop this year. No idea why as it was reliable in the past. 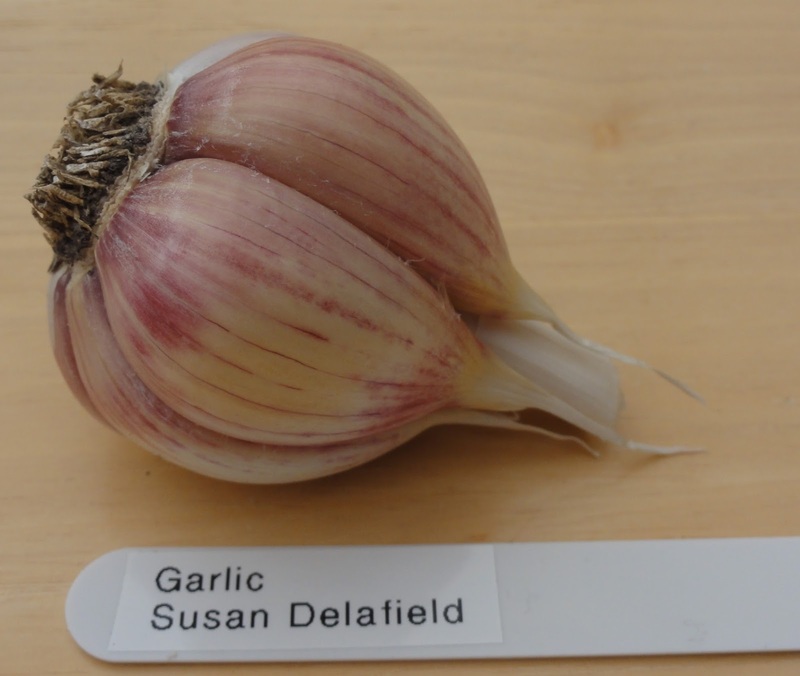 I hope to get hold of it again as I found it a good garlic with good storage capabilities. So if you have this one and you would like to offer me some - please get it touch! 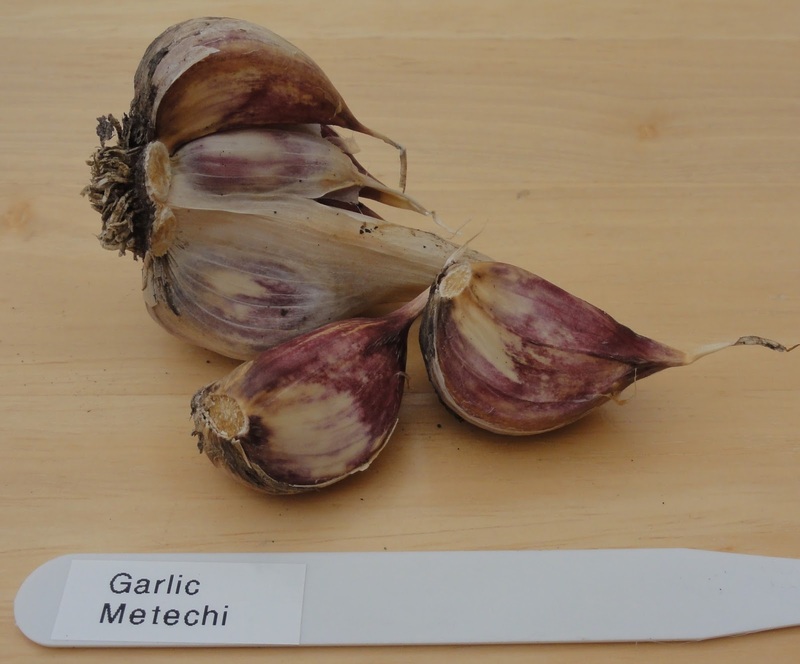 A note re storage: hardneck garlic (which all the above are) don't tend to have as good storage ability as softneck garlic. 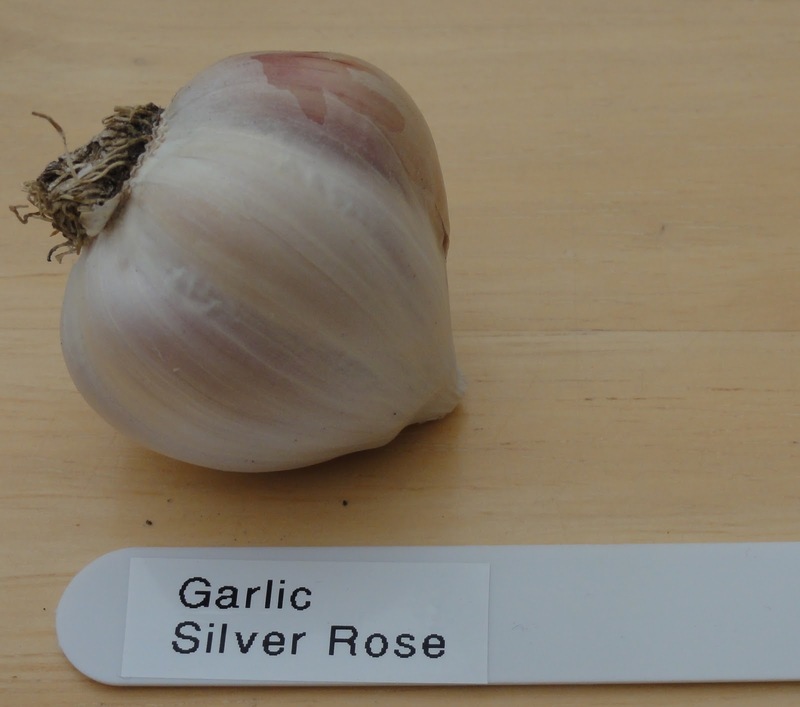 Most are best eaten in the first 3-4 months after harvesting. The storage period I've listed is how long they remain firm and fairly good flavour in my experience. Many last longer, but go softer and don't maintain their flavour/potency. You can still use the older ones, I do, just need to double how many cloves you use per dish. For those interested, I've updated my 'Garlic Varieties' document, which shows the history of each variety I have grown in the last few years. 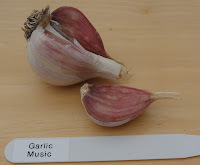 I have split it into two, 'Garlic Varieties 2013' for the eight I'm continuing to grow, and 'Garlic varieties no longer growing' for those I used to grow, in case this is of use to anyone. 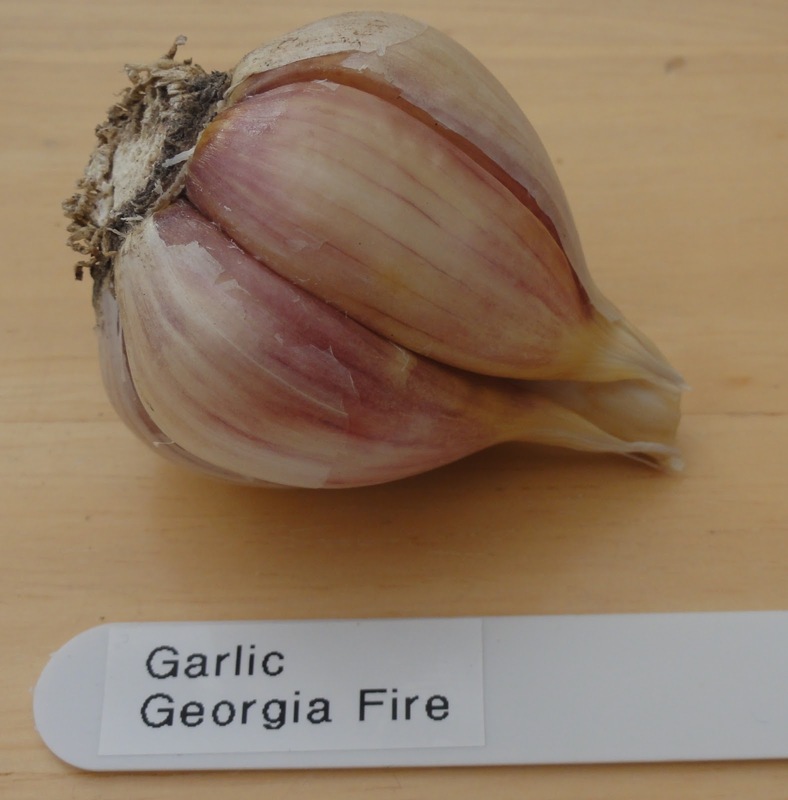 Finally, if you haven't tried growing garlic before - DO! 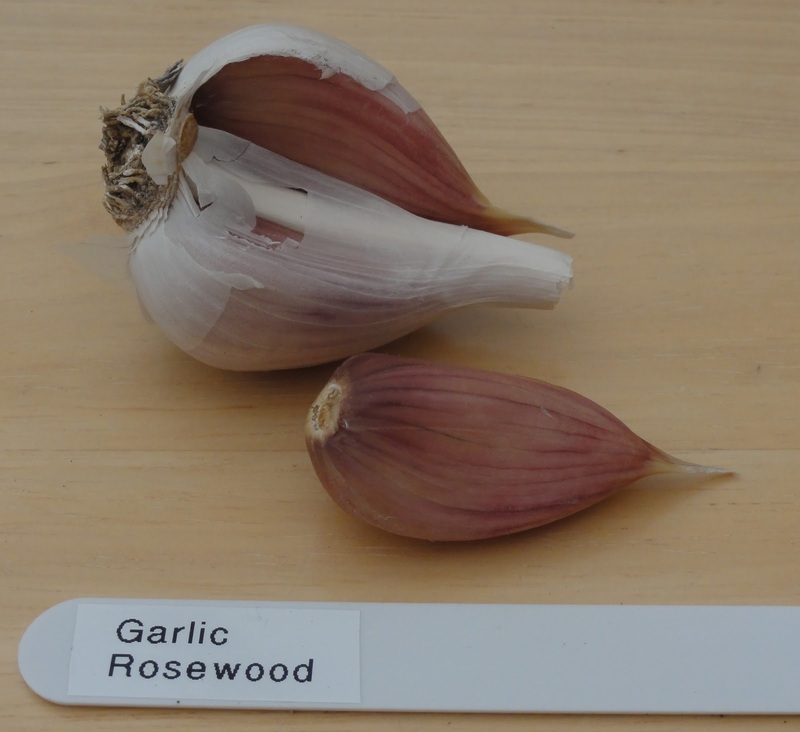 It's one of the easiest vegetables to grow and you get a big output from just as few cloves. For an idea of how easy it is to grow garlic, see my post Getting the garlic in.